As a patron, you're helping us make podcasting better not just for you, but for everyone. That's a contribution deserving of recognition! 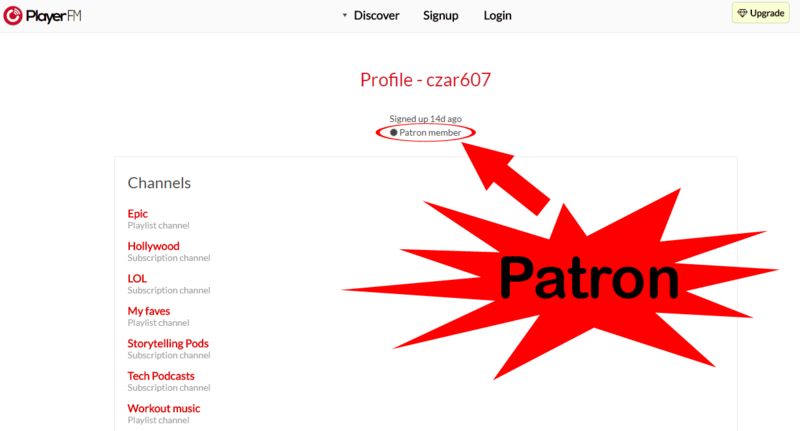 Patrons are publicly recognized on their online Player FM profile. But don't worry, if you're a less extroverted patron, you can still keep your profile private … and even if it's public, you can opt of out of showing patron status.